Even though it’s not quite spring yet, you wouldn’t know it by the weather. With an increase in daylight and pleasant temperatures, enterprising young sod installers could easily find the time to carry out their Bellingham sod project. Everyone has to start somewhere. As great as it is to have a neighbor with a green thumb, or grandparent to pass down important sod laying information, many experience their first sod project solo. It doesn’t mean they, or you, have to go in unprepared though. Bellingham is an incredibly green town, and with a few helpful hints you’ll find your sod taking root in no time. Sod Choice – Picking the right kind of sod can determine the difference between success and failure. 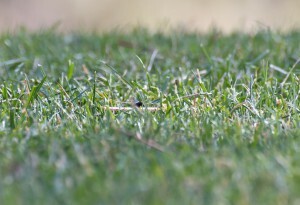 We offer a number of sods that are carefully created using multiple grass types. These grass types grow significantly better in cooler climates. Whatever you choose, make sure that it is appropriate for your environment. Rye Grass, Kentucky Bluegrass and Fescue do particularly well in Bellingham. Sod Watering – Just because it’s the rainy season, doesn’t mean you can’t lay sod in Bellingham. It’s incredibly important to keep you eyes peeled on the amount of water your sod is getting though. Rain gauges can be purchased for under 10 dollars and tell you how much water per square inch your lawn is receiving. You’ll want to give it about an inch a day, watering twice a day every day for the first two weeks. Two days after that you’ll be ready to start mowing and engaging in a more relaxed watering schedule. The gauge will help you take rainfall into your watering consideration. Sod Mowing – Once you can mow your sod you want to make sure you do it right. It may seem like a short mow will be the easiest, but the more you chop off the harder your grass has to work to get the sunlight it needs. Keep your new sod at least 3 inches high, we recommend 4 for maximum root penetration. These deeper roots also help to crowd out weeds when they have nowhere to take root, not to mention even softer cushy grass for stargazing once it gets really warm out. This is just the tip of the grass shoot, so tune in next week to find out some great options for handling pesky weeds in your Bellingham, WA sod. As always the experts at Country Green Turf are happy to answer your questions and provide you with great sod, so don’t hesitate to Call (360) 207 – 1848 or Contact Country Green Turf today.